If you are a beautiful fairy here is your AO, i loved particularly, this AO is the best i've ever had for fairies. I surprised with the 24 animations delicate and soft, and the pleasant and synchronized sounds. 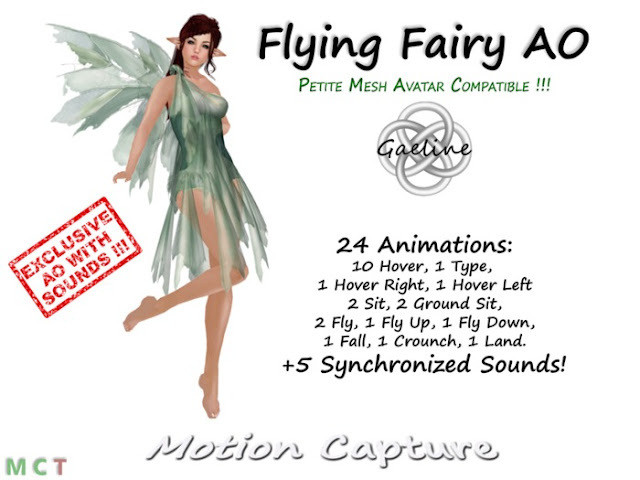 The AO is compatible with mesh Petites avatars, and HUD is very easy to use. Do like me and live a fairytale with this gorgeous AO.